We are currently "stock taking" and I'm in the mood to clear some "old friends" off our shelves. Due to the sudden closure of “City Link” our “Courier” delivery charges have had to be increased. When placing orders on our web site please make sure that you insert the correct "Address and Post Code", as registered to your Credit or Debit Card. We have had to install "stricter security" measures to our order system, this will decline orders if the details to not match exactly. New fishery feature in which Andy focuses on fly fishing at Bewl Water. 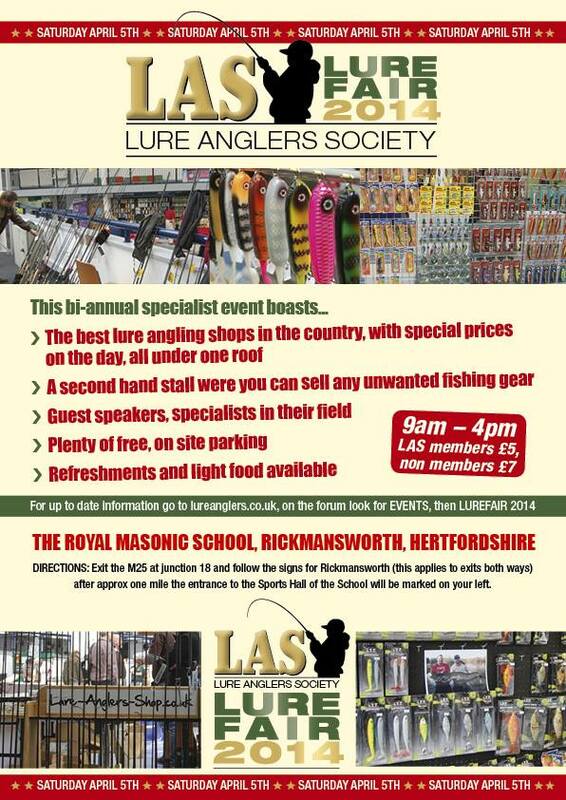 We are pleased to announce that we have secured the UK dealership for Lovec-rapy lures. These are hand crafted lures from Poland, with a huge range of sizes and colours there is definitely something to excite all lure anglers whatever your target species. With the lure fishing season well upon us now we have 5 more articles to whet your appetite, this weeks additions are from Gord Burton, Derek MacDonald and our own Andy Lush. 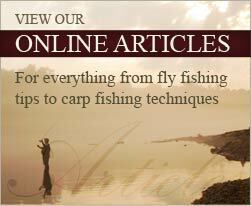 We have added some more articles on Lure fishing to our articles section, kindly written by Mick Brown and Gord Burton. After a long wait for a dealer slot to become available we are pleased to announce our first stock order from DELKIM has now arrived! Click here to see our initial range of high quality products. Should there be a DELKIM product we are not currently stocking that you are interested in purchasing then please either drop us an e-mail or call the shop on 01892 528677.